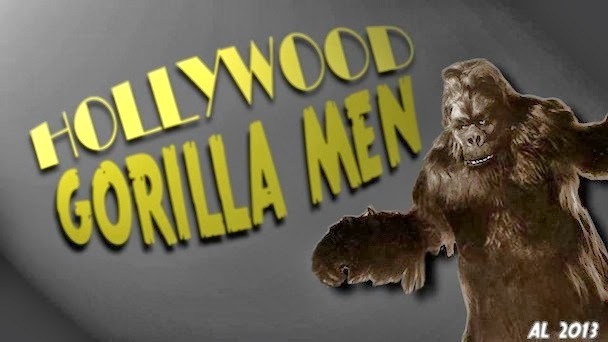 Hollywood Gorilla Men: Hello Wilbuuuurrr! 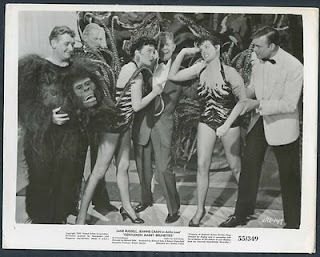 The movie was on THISTV today and I finally caught the scene Alan Young goes ape in: a big musical production number at a Paris nightclub, where Broadway chorus girls Jane Russell and Jeanne Crain are doing their act. 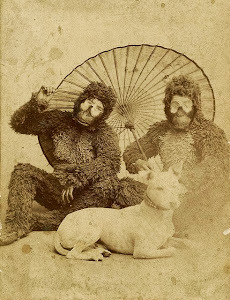 It starts with a bunch of dancers dressed as African natives Watusi-ing around a tree to typical jungle drum music. 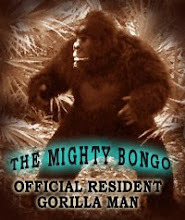 The camera pans up to find a gorilla sitting on a branch above their heads; Alan takes his head off and begins to sing "Ain't Misbehavin'." The dancers boogaloo off to capture the two girls and put 'em in a big pot (a sign says "menu -- chicks"), where they sing another chorus of Fats Waller. 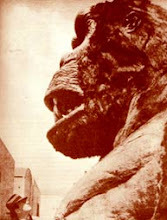 The gorilla (head back on) bursts on the scene, briefly fights the natives, rescues the gals, who join him (bareheaded again) in the final chorus of the song before the curtain closes. I didn't see enough of the movie to figure out why Alan had suddenly joined the girls in their stage act, but it seemed like a good idea. I think Alan Young is an underestimated actor -- probably because of that sitcom he'll always be remembered for.